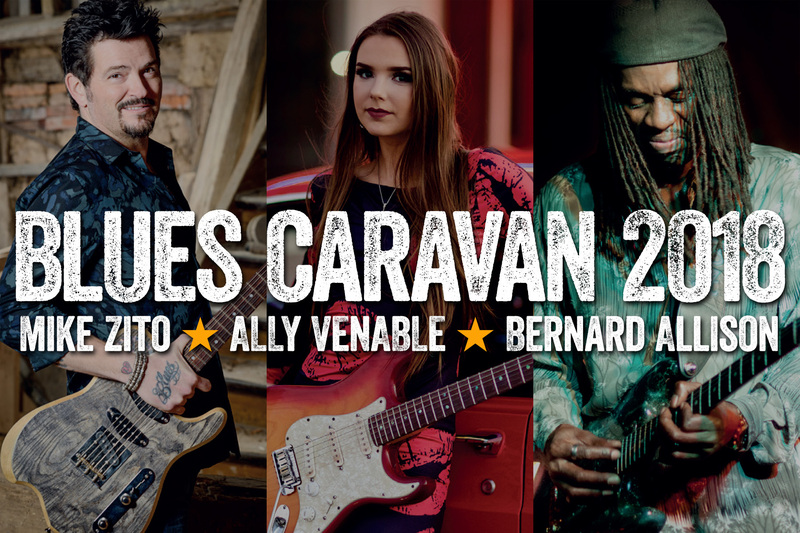 This is no ordinary club tour... this is Ruf Records Blues Caravan 2018 featuring Bernard Allison, Mike Zito, and Ally Venable! If you’ve followed Ruf’s rolling revue since it started life in 2005, you already know that these shows are must-see events, throwing together three stellar artists on one bill – then letting the chemistry do the rest. Traditionally, the Blues Caravan lineup has showcased the label’s breaking talent giving fans a chance to catch the blues titans of tomorrow before they go ‘BOOM’. But in 2018, it’s time to mix things up. On this year’s Blues Caravan, you’ll not only find one young gun with a dazzling career ahead of her, but also two heavyweights with a sky-high reputation. Ruf’s tireless dedication to the blues means it hunts far beyond borders for its new signings – and the label has struck gold with Lone Star State Powerhouse Ally Venable. Ally Venable, started singing at an early age in church and then in recent years picked up the guitar and found her passion establishing herself as a Texas Blues Guitar Slinger.